Obituary for Jacqueline "Jackie" Biller | Graft-Jacquillard Funeral & Cremation Services, Inc.
Jacqueline Biller, 52 of Ruffs Dale, passed away Wednesday, September 19, 2018. She was born September 20, 1965 in Mt. Pleasant a daughter of the late Helen (Miller) Lynch and Jack E. Lynch of Ruffs Dale. Jackie was employed as a mortgage advisor and was a fan of the Pittsburgh Pirates. She was a loving and caring person and was a member of Faith Bible Church, Connellsville. Jackie also enjoyed her trips to the casino. 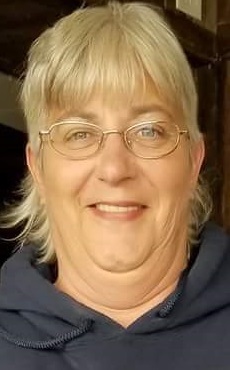 In addition to her father, Jack and his companion Henrietta; she is survived by her son, James Biller, Jr and his wife Kaneisha; two grandchildren, Braeden and Brielle Biller; her siblings, Mark Lynch (Tina), Helen Ann Graves, Patricia Bower and Kerry Wettgen (Dave) and several nieces and nephews.